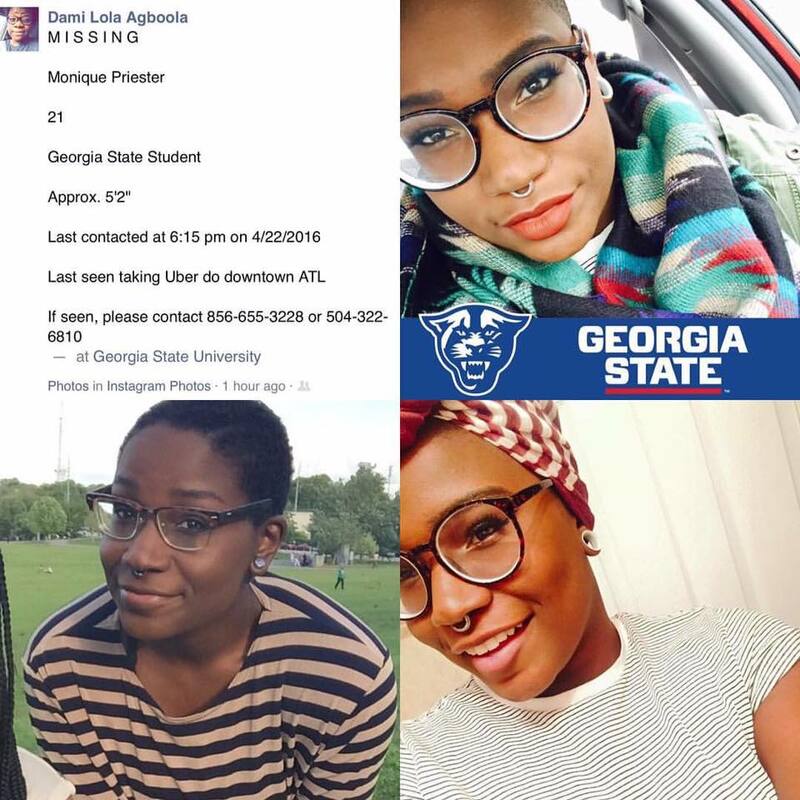 Georgia State student Monique Priester has been found after missing for more than four days. Despite refusing to release any other information, police say she was located and is safe. 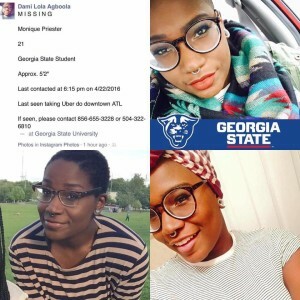 She was reported missing on Saturday evening, after she was seen taking an Uber from her step-dad’s Dacula home the night prior to meet a study group at Georgia State. Police said that before leaving that afternoon, Monique got into an argument with her step-father. Priester, 21, called for an UberPool, a group ride, and last spoke to her mother around 6 p.m. telling her she was waiting for the second Uber pick-up. She wasn’t heard of since. Priester’s mother, Jacqueline Vanloo-Alkush, said she tried but couldn’t reach her daughter on the phone. “[Monique’s] phone goes straight to voicemail,” she said. Dami Lola Agboola, Priester’s high school friend, has been posting on social media about her disappearance, saying they’re doing all they can to spread the word. Priester’s disappearance has been reported to Gwinnett County Police and Uber. Her mother said police efforts outside Georgia State police have been minimal. And Uber, after Priester’s family requested information on the ride, said it would need a subpoena to release any details. Bill Gibbons, Uber spokesman, said the company is working with law enforcement to assist. “We are working closely with local law enforcement to provide any assistance or information that could help them locate Ms. Priester and get her safely home,” he said. Georgia State University Police Chief Carlton Mullis said the campus police force is sifting through Priester’s PantherCard activity and checking in her classes for any info pertaining to the case. According to Priester’s mother, her bank account showed activity in Nashville, Tennessee.